And this is my dog-- Darby. Darby is an English Springer Spaniel who just can not get enough hiking. In September 2004 he completed the "4000 footers" of New Hampshire. 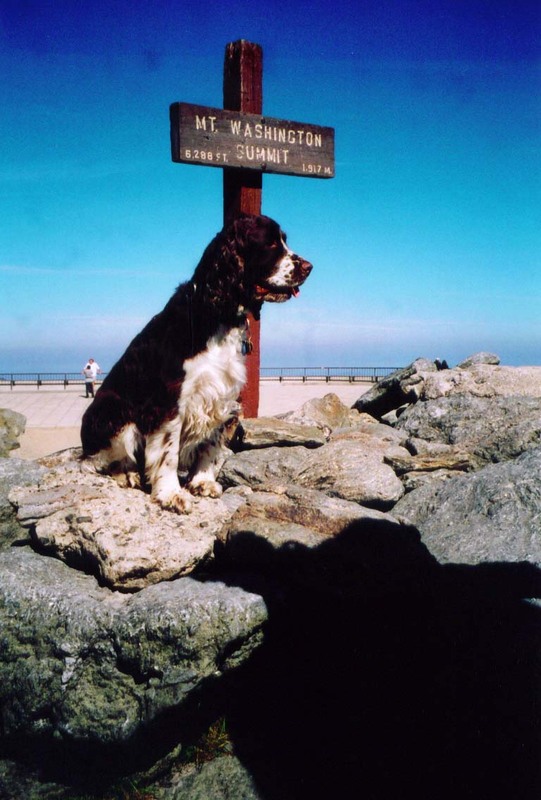 This picture of Darby was taken when he was on the summit of Mt. Washington, his final "4000 footer." And by the way, "Darby" is named for Darby Field, who in 1642 was the first person to climb Mt. Washington. Should you meet Darby on the trails, just be warned that he is very very friendly and just wants to talk with you about hiking.